On August 29, Consul General Hong Lei met with Steve Arwood, CEO of Michigan Economic Development Cooperation in Lansing, the State Capital. Consul General Hong Lei said that with joint efforts of both sides, trade and investment cooperation between China and Michigan has been brought to a new level. China is Michigan's third largest trading partner and export market. In 2015, bilateral trade volume reached $12.4 billion, a 7% increase over 2014. From 2000 to 2015, Chinese companies invested a total of $2.3 billion in Michigan, creating more than 8700 jobs. Michigan has advantages in industries such as automobile, agriculture, advanced manufacturing and tourism. China-Michigan cooperation has broad prospects. The two sides should promote connections of advantageous industries and deepen cooperation in trade, investment and other fields. Mr. Arwood spoke highly of the progress of Michigan-China cooperation and the contribution made by Chinese enterprises to local economy and employment. He said that Michigan regards China as an important partner and is willing to strengthen cooperation with China in automotive interconnection, intelligent infrastructure and agriculture. 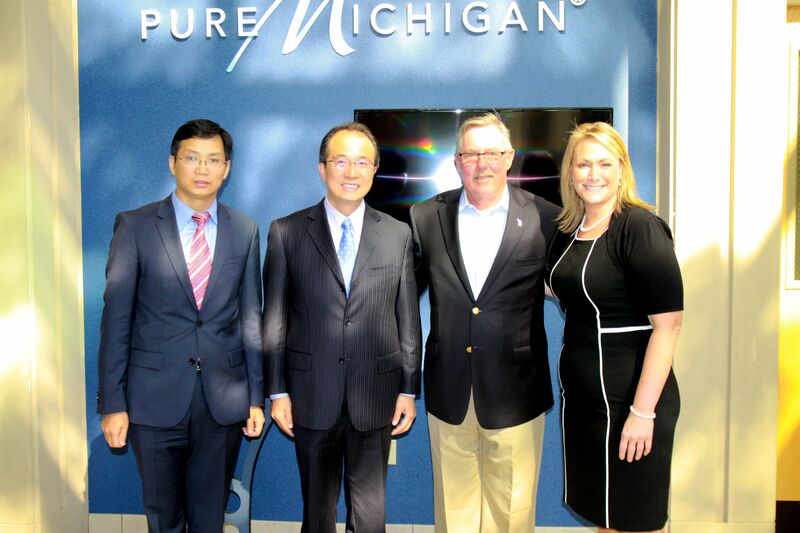 MEDC welcomes Chinese enterprises to invest in Michigan and will provide them with good services and convenience.